Spring arrived already! 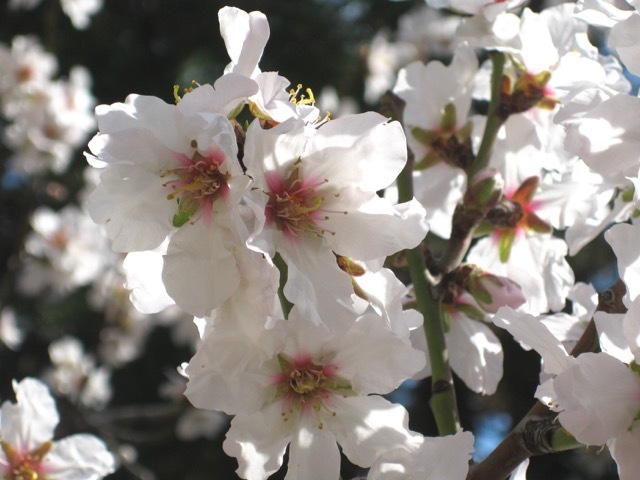 The almond tree in the garden is full of lovely flowers and the bees are flying all around making an engine's noise! 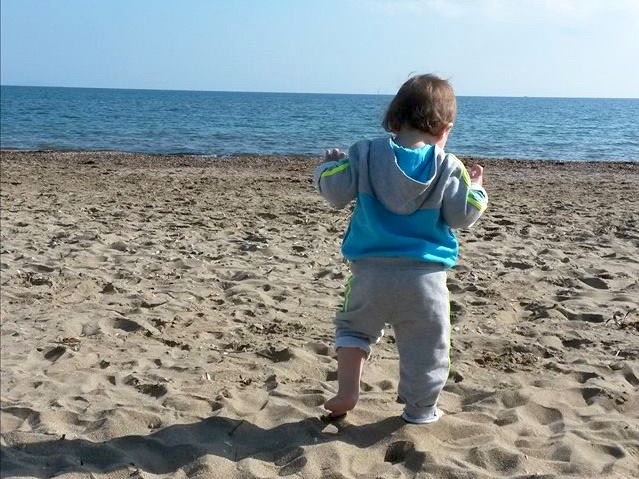 The weather was so good last week that my children and grandson went to the beach and although the sea was cold they even went to swim! 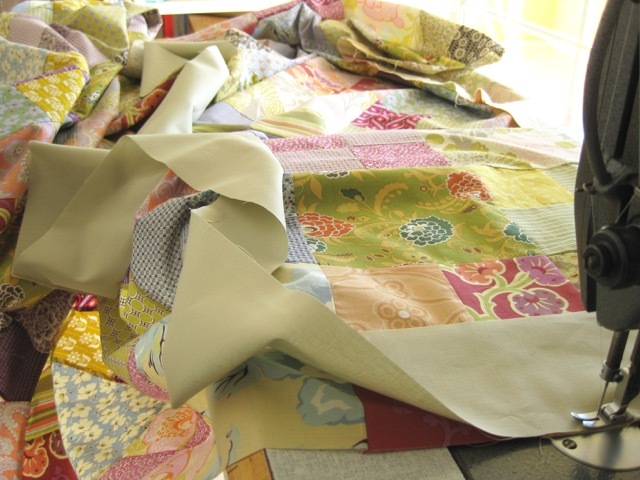 With spring comes again the will of sewing fresh color fabrics. Searching among my UFOs I found my Gypsy Four Patch top. It was exactly the kind of colors corresponding to my mood. 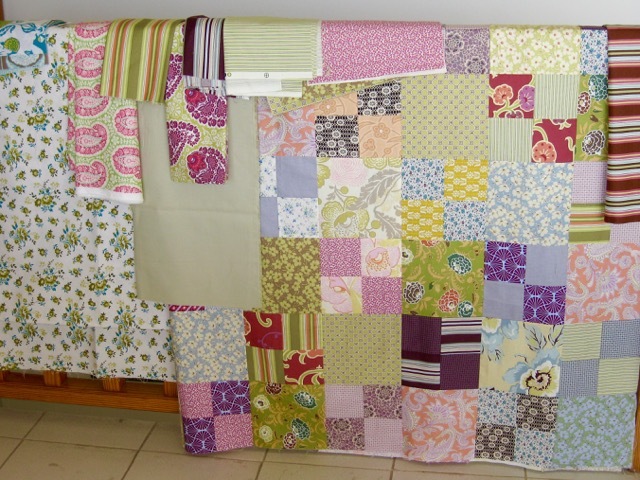 I don't often make borders to my quilts, but as regards this one, I thought it looked somewhat unfinished and useless as it was not big enough for a double size bed and too big for a sofa throw. So I decided to enlarge it in order to fit exactly to my bed. 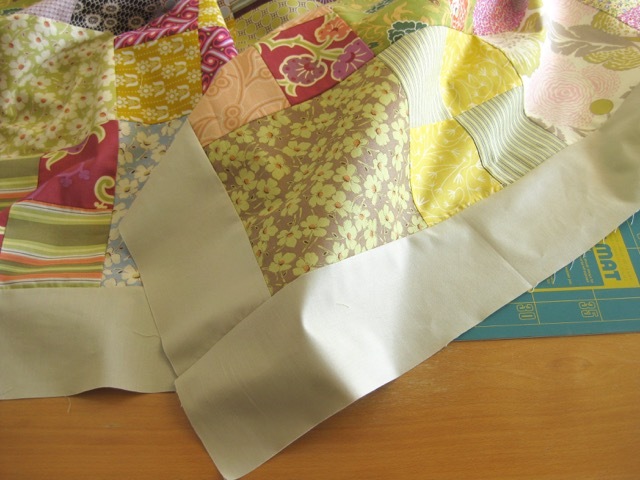 I began to choose fabrics and to cut a first band. 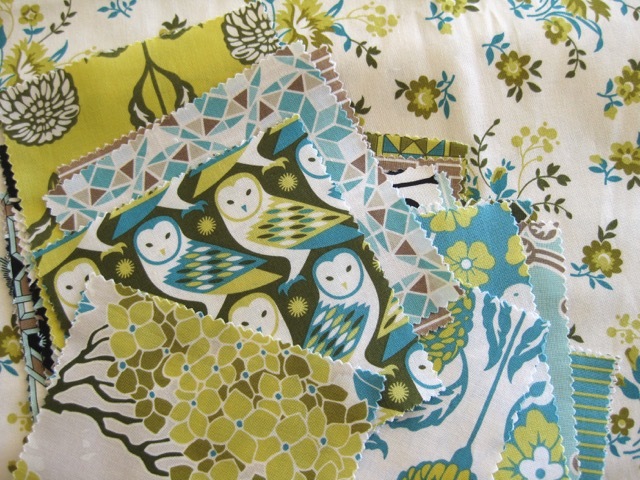 Then I will cut rectangles and squares of matching fabrics to complete the top. 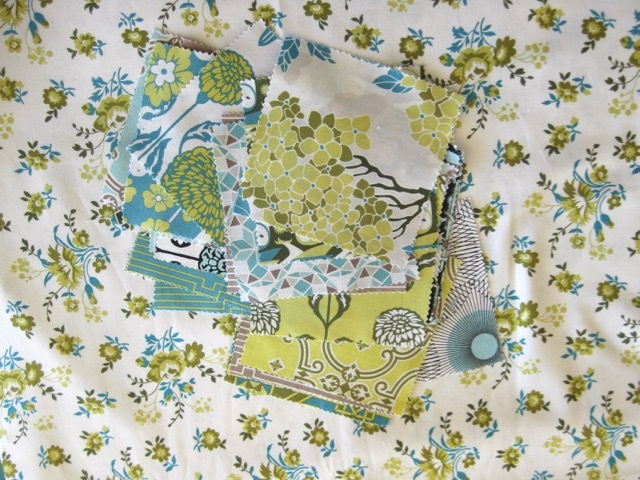 For the backing I think of using these lovely Joel Dewberry fabrics. Beautiful quilt - very calming and restful - and that's just looking at it in your post, I'm sure whoever cuddles under this quilt will feel exactly the same! J'aime toutes les couleurs, tous les tissus. J'ai hâte de voir le résultat final! Les amandiers en fleurs me font rêver! Aux premières photos, j'ai aimé les tissus !! Such a beautiful mix of colors. They remind me of an ice cream shop. I like your border idea. 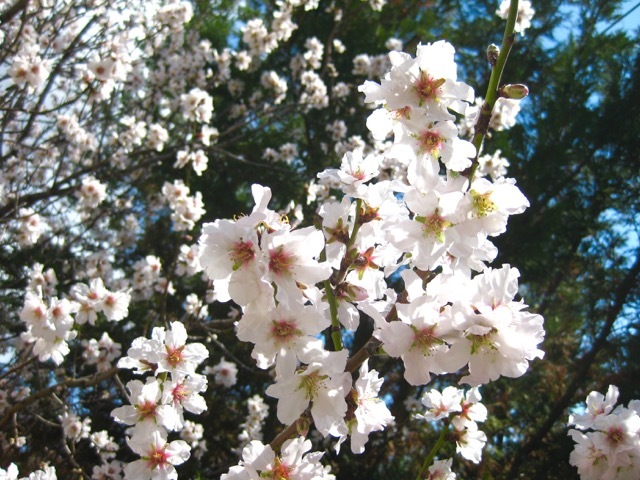 Spring has arrived! It's still winter here, but we're getting hints of spring. How comes I haven't been here for while? ?